Hi guys! 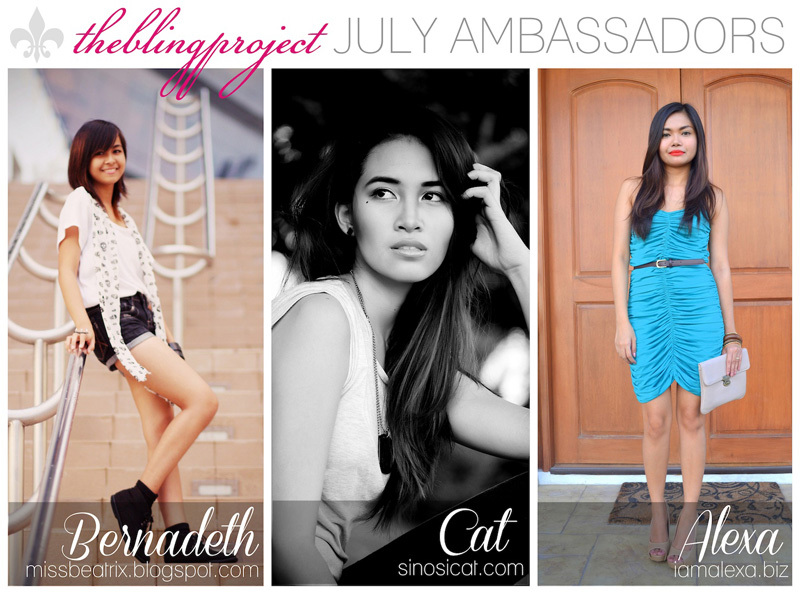 I'm happy to announce that I'm one of the July ambassadors for The Bling Project! TBP is an online accessory shop that offers the trendiest accessories in every design and color imaginable! From tribal collar necklaces to studded cuffs and statement rings, TBP has everything you need to complete your outfit. "We treat each product as a BLING, for every piece will definitely make a bold fashion statement," says Jessica Viray, TBP Proprietor. If you're a reader of my blog, you know how much I love accessories. 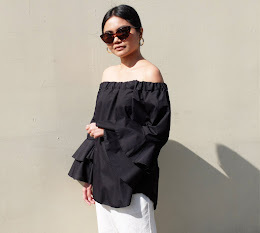 So I'm really happy to be chosen by the TBP Team and be part of the pioneering group along with the two other lovely bloggers Bernadeth and Cat. I received a package a few days ago and my heart jumped when I saw these inside! Super love them! I've been looking for a gold collar necklace for a while now and I'm glad I finally found one that fits my neck well. Because it's adjustable at the back, I can decide how wide I want the collar to be. I also got this crisscross tricolor metallic bracelet and this fabulous YSL Arty-inspired ring. Really adore the gold and black combination! 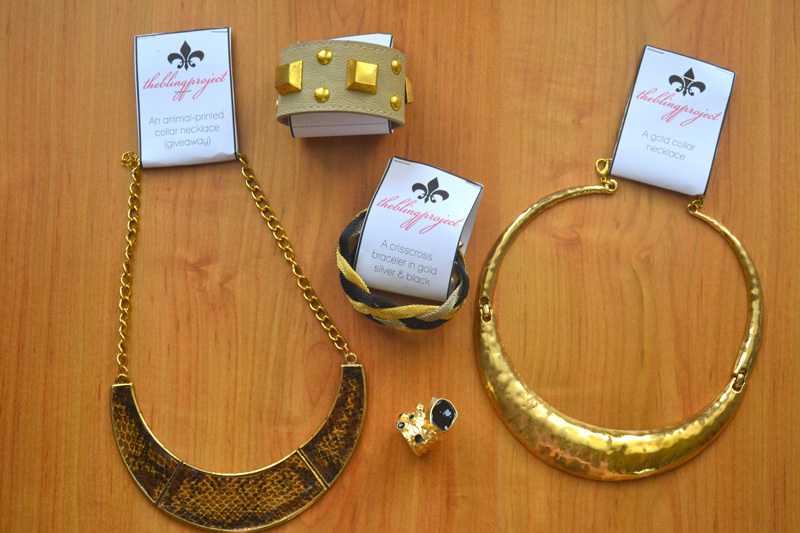 Because The Bling Project and I love you guys, we've teamed up for an accessory give-away. One lucky person can win this animal print collar necklace and this gray studded cuff. 1. Like The Bling Project on Facebook and follow them on Twitter. 2. 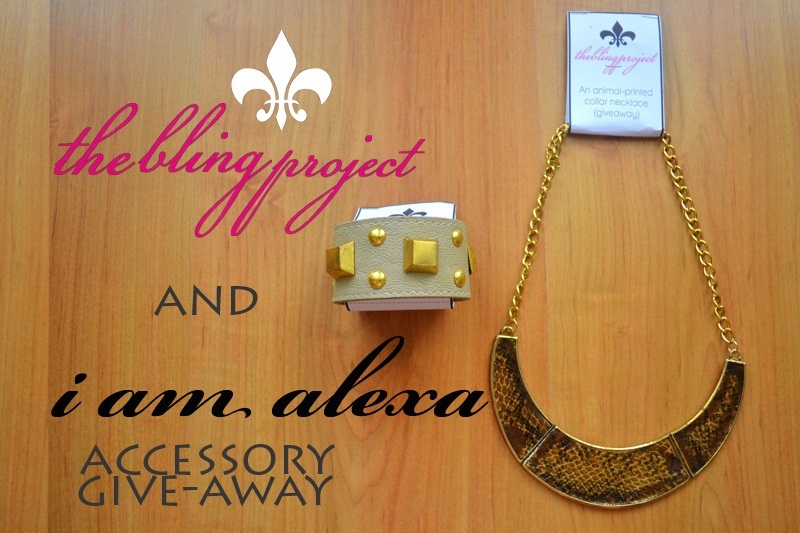 Tweet this, "Win @TheBlingProject Blings over at @iamalexa. Click here http://bit.ly/Mbureo"
3. Like I Am Alexa on Facebook and follow her through Google Friend Connect. Scroll down to bottom of page and click "Join this site." After you've done everything, don't forget to leave a comment on this post with your complete name, email address, Facebook and Twitter usernames. Very Nice Pieces :) Hoping to win! Of course, I am joining! Hahaha!